Artcurial will offer a 1961 Ferrari 250 GT SWB Berlinetta as lead car at the 2016 Le Mans Classic car auction in France on 9 July 2016. This Ferrari 250 GT SWB Berlinetta, chassis #2917, was the Paris Motor Show car and had the same owner for the past 47 years. The estimate is likely to be around $10 million. Artcurial will hold it 2016 Le Mans Classic car auction on 9 July 2016 during the historic races at the famous Le Mans circuit in central France. The final consignment list has not been released but Artcurial has confirmed as lead car a 1961 Ferrari 250 GT SWB Berlinetta. The 1961 Ferrari 250 GT SWB Berlinetta, chassis #2917GT, offered by Artcurial at the 2016 Le Mans Classic sale was the original Paris Motor Show car. The first owner bought the car off the stand of importer Franco Britannic and had the light blue Azzuro car immediately re-liveried in black to match the color of the other cars in his collection. 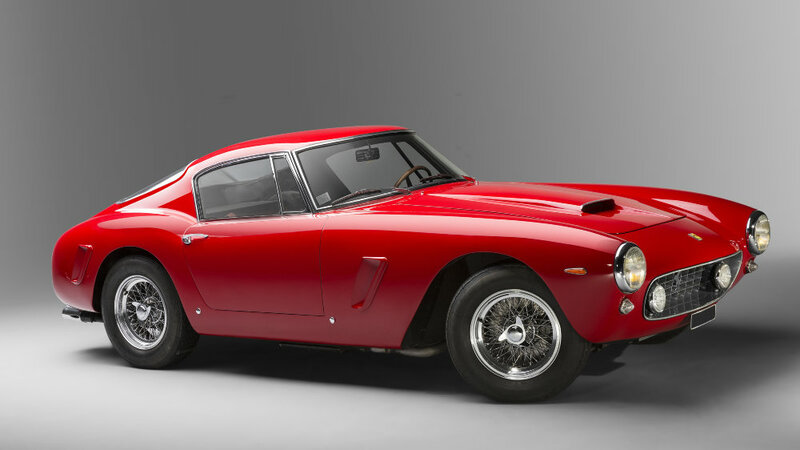 The 1961 Ferrari 250 GT SWB Berlinetta was refinished in red prior to the current owner acquiring it in 1969. Although the car had five owners in total, the current owner drove it for the last 47 years, and has always been registered in France. The Ferrari is considered to be in a magnificently original condition and well maintained. It is a matching numbers example and driven regularly on French back roads, especially in the Brittany region. Artcurial has not released an estimate yet but the last Ferrari 250 GT SWB Berlinetta offered at public auction failed to sell at a highest bid of €7.8 million at the 2016 Artcurial Paris Rétromobile classic car auction. This 1963 Ferrari 250 GT SWB Berlinetta, chassis 4065GT, (estimate €9 – €12 million), was subsequently sold for €8.1 million ($9.2 million) to a European collector. At the same 2016 Paris auction, Artcurial famously sold the 1957 Ferrari 335 S Spider Scaglietti for a euro record price of €32.1 million, or at $35.7 million the second most-expensive car ever sold at public auction. The year before, Artcurial also stunned the classic car world with the barn-find Baillon collection that included the model world record price of $18.6 million for a 1961 Ferrari 250 GT SWB California Spider.